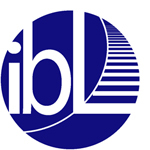 IBL Math course material resources are available for download on Google Drive. Please contact Ralf Spatzier for permissions into the system and further instructions. The Department offers other courses with significant use of IBL techniques. In particular, our Introductory Mathematics Program offers precalculus MATH 105, mainstream calculus MATH 115 and MATH 116 that use group work and presentations. For more detailed information on this, please consult the links. We are running a Math Circle for middle school and high school students. We are also running, in conjunction with the Math and Science Center at Wayne RESA and Detroit Public Schools a Math Teachers Circle. The University has a math and science summer program, MMSS. Much of the instruction in the math courses is inquiry based, and focuses on the students learning by doing and exposing themselves to mathematics directly.